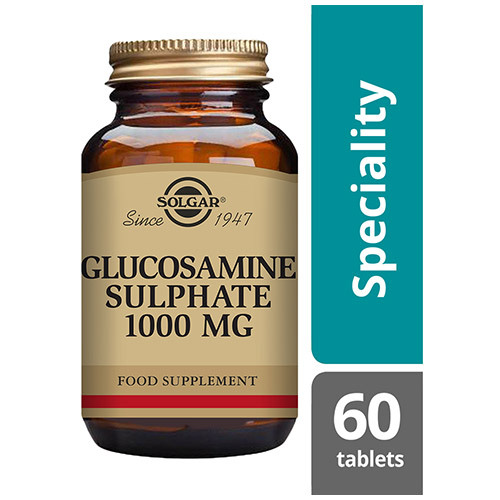 Solgar® Glucosamine Sulphate 1000 mg comes in a 1-2 tablets a day dosage, giving you a high level of this essential component of joints and cartilage. Bulking Agents: microcrystalline cellulose, hypromellose, Anti-caking Agents: vegetable magnesium stearate, cellulose gum, Glazing Agents: hypromellose cellulose, vegetable glycerin (from palm kernel oil and coconut oil). 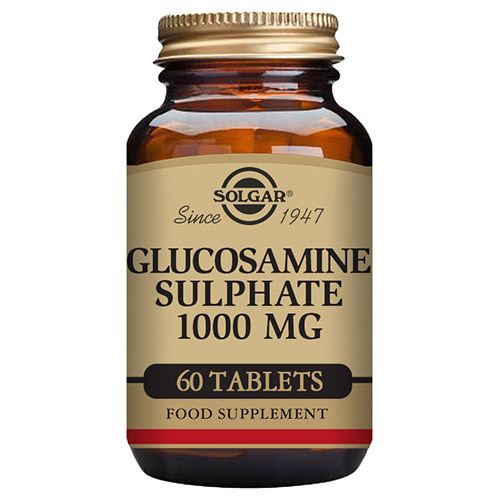 Below are reviews of Solgar Glucosamine Sulphate - 60 x 1000mg Tablets by bodykind customers. If you have tried this product we'd love to hear what you think so please leave a review. 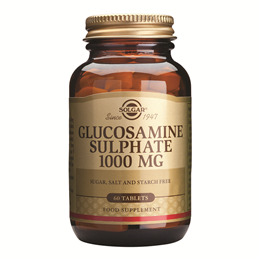 I have taken Glucosamine Sulphate now for some years and it seems to have kept my arthritis at bay. 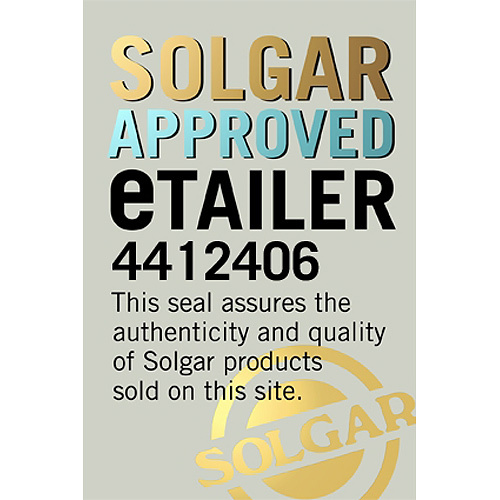 I only use Solgar products and I trust them. 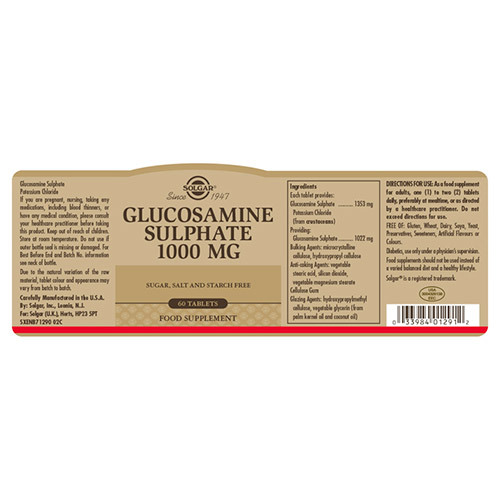 Solgar® Glucosamine Sulphate 1000 mg provides the key materials for cartilage support in Glucosamine Sulphate form.